Why Invest in PA & NJ? Pennsylvania and New Jersey offers a the right conditions for real estate investors to see sizable returns. The overall local economy, property diversity, and rising real estate market all contribute to favorable investment opportunities. These slides show that PA + NJ offer a stable investing environment. In general PA + NJ economy is similar the overall national economy. This is illustrated in the unemployment graph. The second graph shows the stability of the rental market. When the housing market collapsed in 2007 rental rates continued to increase at a predictable 3%. 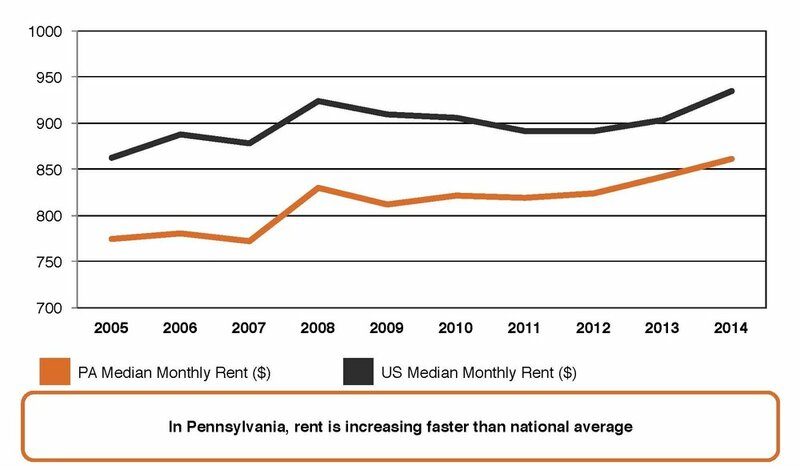 The final slide shows that rental rates in PA + NJ compared to the rest of the country. PA + NJ are increasing slightly faster than the rest of the nation.